One of the most common postural and spinal misalignments we see these days is forward head posture. 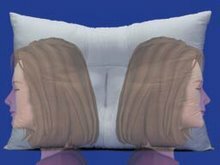 This is when the head and neck are shifted forward from the center of gravity. Today, however, our focus is going to be on other postures that are often linked with forward head and neck as well as the issues they create. The first is rolled shoulders. This is when your shoulders roll inward. Similar to your head being forward, your shoulders being forward also pulls and tenses the muscles of the lower neck and upper back. This can often create pain in these areas as well as muscle spasm and trigger points. What then starts to take place what happens to your mid-back spine (thoracic or dorsal spine)? Your thoracic spine often gets hunched at the top because of the pull on your neck and shoulders and these muscles trying to balance the body. As it works further into you lower body, it often causes low back extension. This happens because when our head goes forward, our body automatically tries to keep your eyes even with the horizon. To do this, most often people with this posture tend to extend at their low back. This can now cause low back pain on top of your already sore neck. 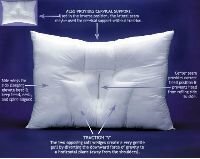 Visit Arc4life.com for your online selection of cervical support neck pillows, orthopedic pain relief products and Home traction units. Products for pain relief. 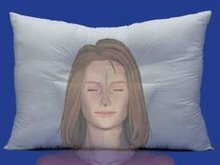 What Is The Best Pillow For A Cervical Disc?